Japan’s Terra Motors is one of 10 companies bidding to supply electric three-wheeled vehicles to the Philippines. 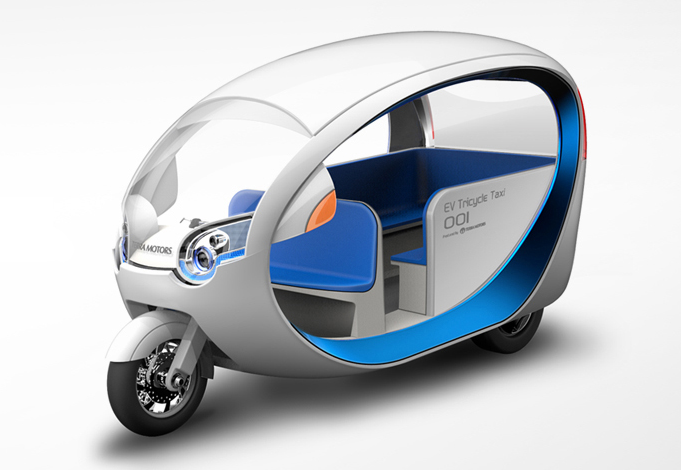 Talking to Red Herring, the manufacturer says in the next two months three bidders will be picked for the project, which aims to roll out 100,000 “e-trikes” in the country by 2016. At the end of 2012, the Asian Development Bank (ADB) provided the Philippines with a USD300m loan to support the project. The scheme is expected to enable drivers of three-wheeled vehicles to take home a higher income. Petrol-fueled tricycles require 5-7 litres of fuel to travel around 100km at a cost of PHP250-350 ($5.60-7.82), while the same distance in an electric model is expected to use 3-5 kWh of electricity, costing PHP30-50 ($0.70-1.11).